The New York Jets pulled off a massive trade last week, swapping picks with the Indianapolis Colts and more importantly, moving themselves into the No. 3 spot overall, leaping the Denver Broncos in their effort to find a franchise quarterback in this year’s NFL Draft. 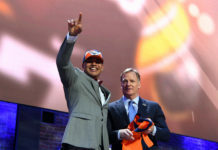 Because of the move that sent shock waves throughout the top half of the draft, there will be one fewer quarterback available for Denver in the event they want to select one when their time comes at No. 5. 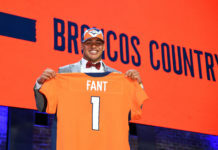 Broncos Blitz podcast host Ronnie K dives into what the Jets’ trade means for Denver, how it alters the Broncos’ chances of getting the player they want — and what the Broncos could do in the event where they want to do some trading and leaping forward themselves. 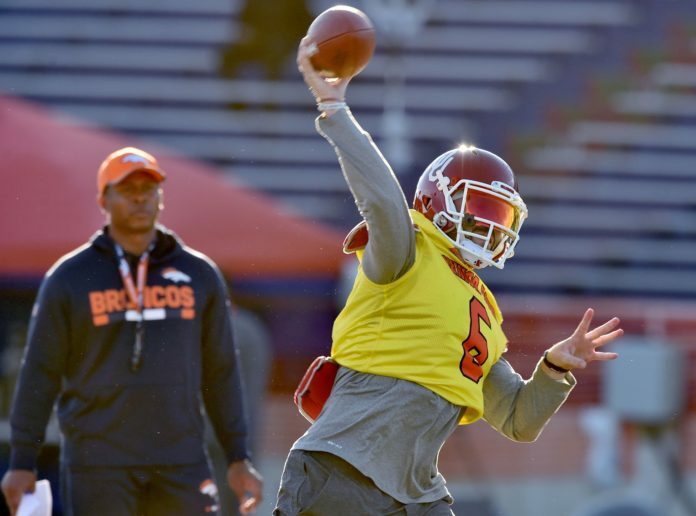 Click here to listen to the full Broncos Blitz podcast with Ronnie K, including what he had to say about Baker Mayfield vs. Josh Allen, if the Broncos would select an offensive lineman and more, or listen to the podcast below.